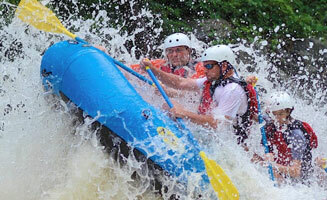 Under Canvas is a luxury camping experience in the heart of the Smoky Mountains. Rated as America's #1 choice for luxury camping, the goal of Under Canvas is to enrich lives by enabling people to share experiences in the outdoors in comfort and style. They believe that being outdoors inspires friends and family to connect, but that doesn't mean roughing it is the only way. 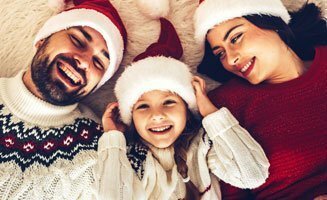 We believe that nature is the best architect, family and friends are the best entertainment, and that a piece of every soul is hidden somewhere. 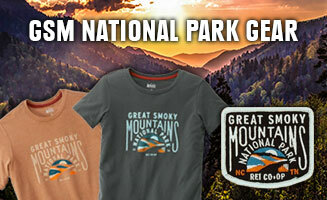 Tucked away in the Smoky Mountains, Under Canvas can be found on a mountain meadow. 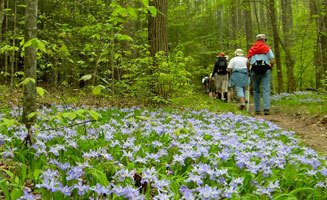 Guests can hear the sound of a ountain stream that ambles through the property. Just 10 minutes from the heart of all the action in Pigeon Forge, Under Canvas is the perfect way to get away without going too far. Enjoy luxury camping in a remote atmosphere, with the option to head into town to visit a local attraction or take advantage of the many Smoky Mountain activities when you please. It really is the best of both worlds. Each tent at Under Canvas gives guests the opportunity to stay in nature while living a life of luxury. 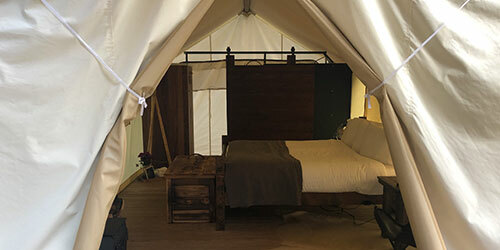 While every tent is different, amenities such as fresh towels, luxury linens, king-sized beds, en suite bathrooms, wood burning stoves, private decks and more are available. Our favorite, The Stargazer, has its own viewing window above the king size bed to stargaze at night. In every tent, you'll find a lantern for when it grows dark, a wood burning stove to keep you warm and a fan to lower the temperature on warm nights. Guests experiencing luxury camping at Under Canvas have the opportunity to eat at the on-site kitchen. 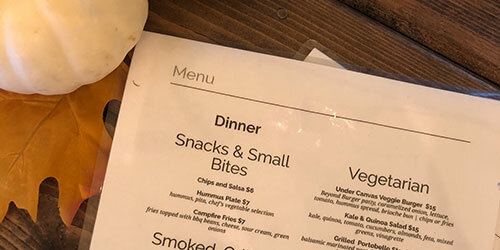 They serve breakfast, lunch and dinner, as well as small bites for when you need a snack. If you're planning to go hiking or take a day trip, you can even get a packed box lunch to take with you. Coffee, tea and cocoa are complimentary and served throughout the day in the main reception tent. The reception area is also home to a fire pit, where you can relax and roast smores with other guests. 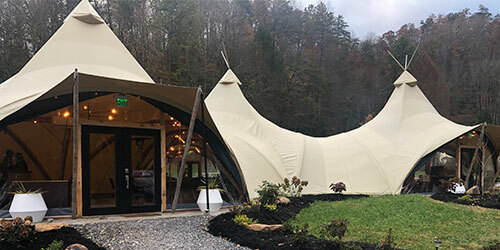 Under Canvas is a balance between luxury and nature, allowing for guests to connect on a whole new level in the heart of the Smoky Mountains. With the amenities of a hotel, and the comfort and peace of the great outdoors, Under Canvas brings luxury camping to the Pigeon Forge area.